Environmental lobby group EcoWaste Coalition has warned Philippine consumers to be wary of counterfeit cosmetics, especially lipsticks which may contain high levels of lead. The group said a recent market investigation showed several lipstick products are being sold in stores in Metro Manila at very low prices – from P10 to P80 – supposedly without authorization from the Food and Drug Administration (FDA). 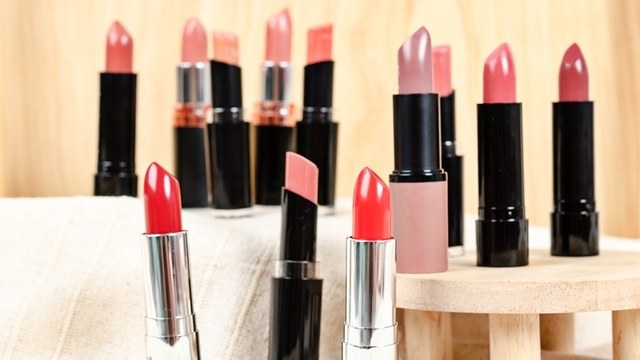 Of 100 lipstick products they tested, 25 bearing 20 brand names, were found to contain lead content ranging from 25 to 4093 parts per million – all above the 20 ppm limit under the ASEAN Cosmetic Directive. “Women should be on the alert for dangerous substances like lead and other contaminants that may be lurking in some lipsticks, particularly counterfeit ones, that could build up in the body over time and spell trouble for the brain, the kidneys and even the heart,” said the group’s national coordinator, Aileen Lucero, in a statement. Lipsticks without FDA seals were found on sale in cosmetic retailers in Guadalupe, Makati City, Divisoria and Quiapo in Manila, Baclaran, Pasay City and Novaliches, Quezon City. Lucero said most of the toxic products were copies of products from brands such as Chanel, Mac and Monaliza.